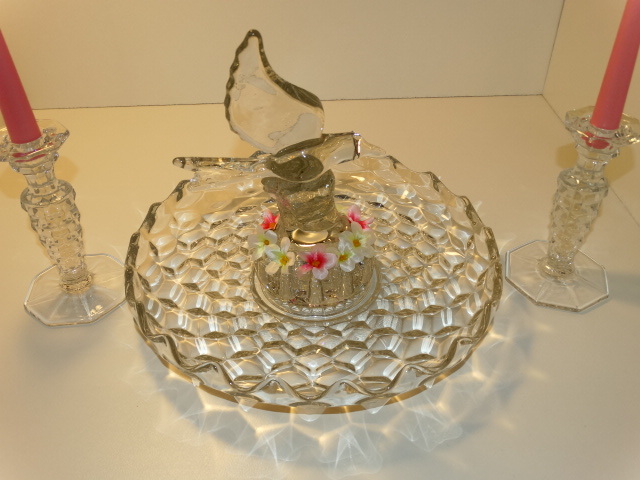 The gentle waves of the edge of Fostoria's Lily Pond serving platter make the perfect frame for Cambridge's large seagull flower frog, a pair of matching candlesticks complete the set. 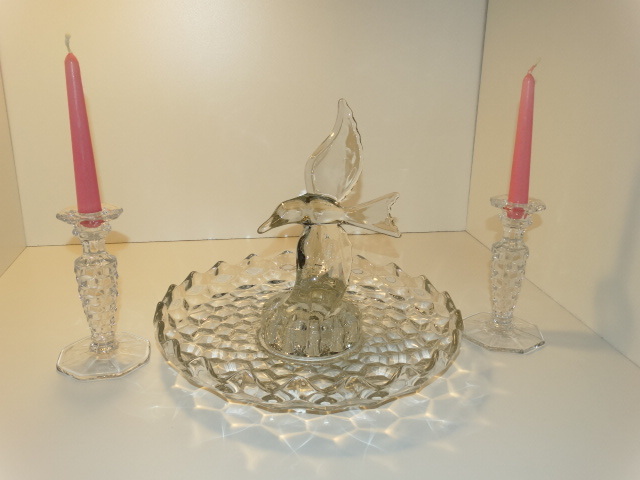 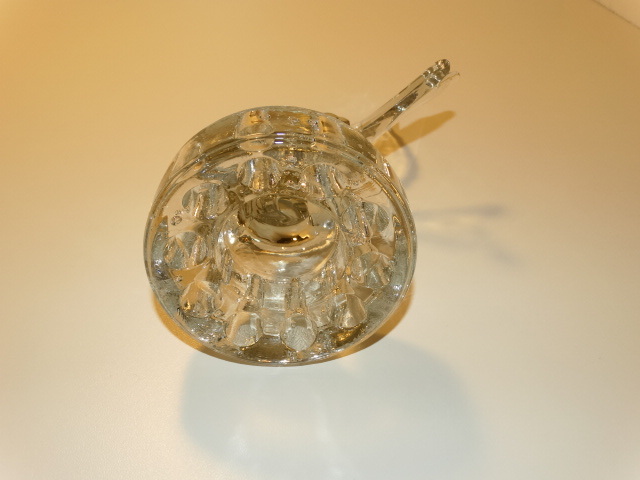 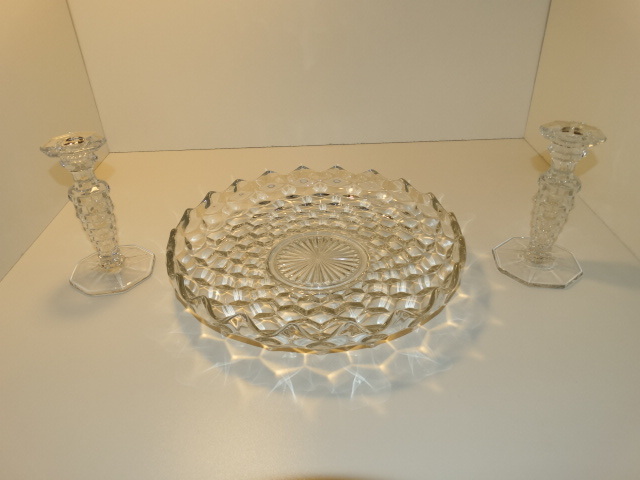 Even though the pieces are made by two different American glass companies, their compatibility is unmistakable. 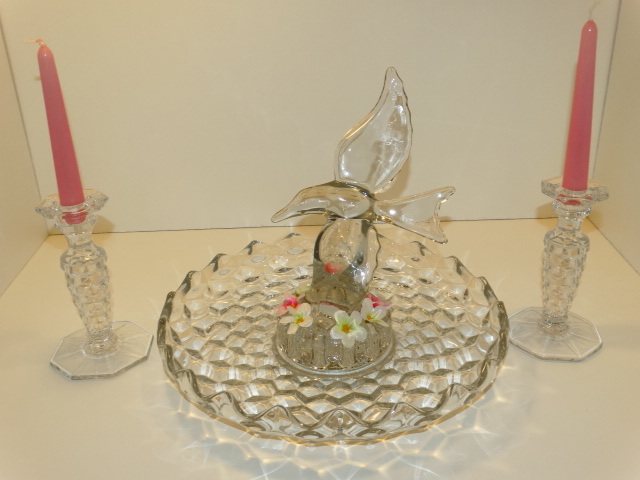 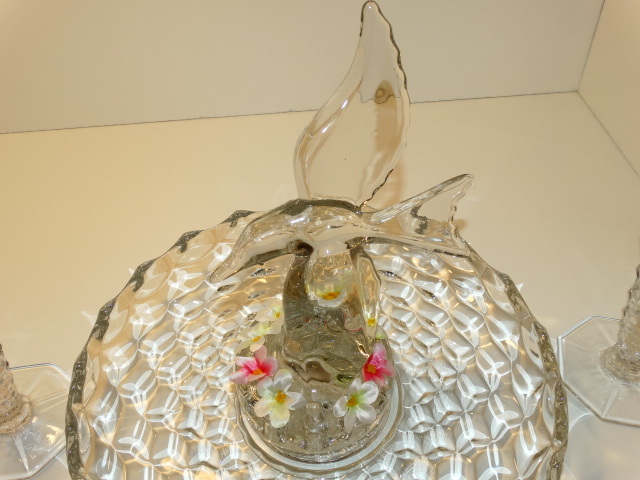 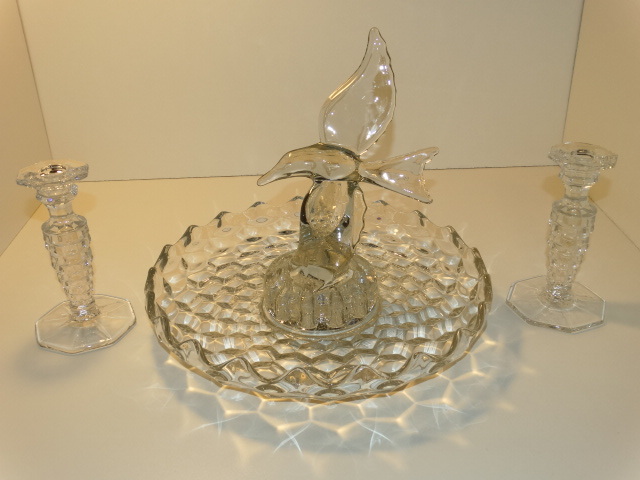 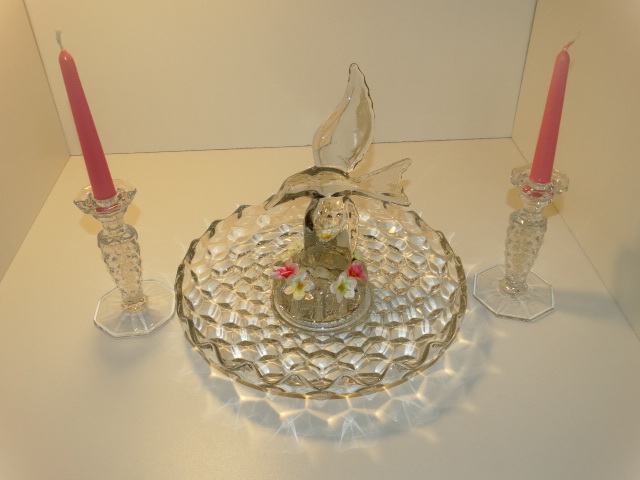 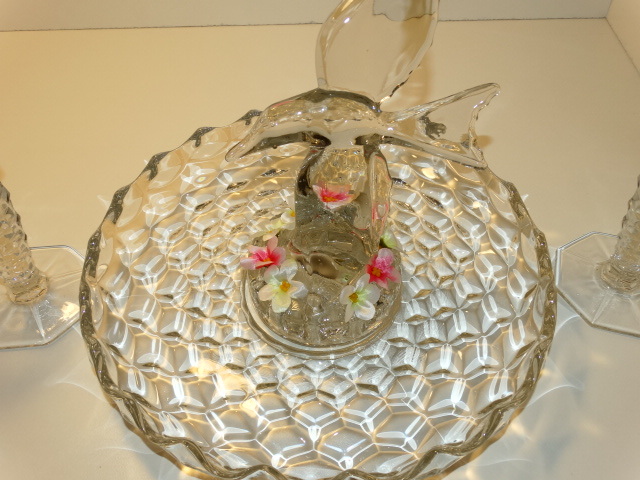 Cambridge's seagull flower frog rises majestically on wingtip from the center of Fostoria's Lily Pond serving platter, with the wavy edge of the platter looking very much like waves surrounding the gull. 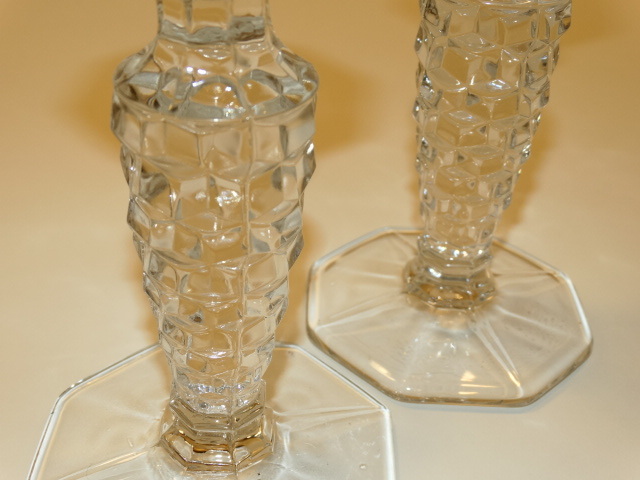 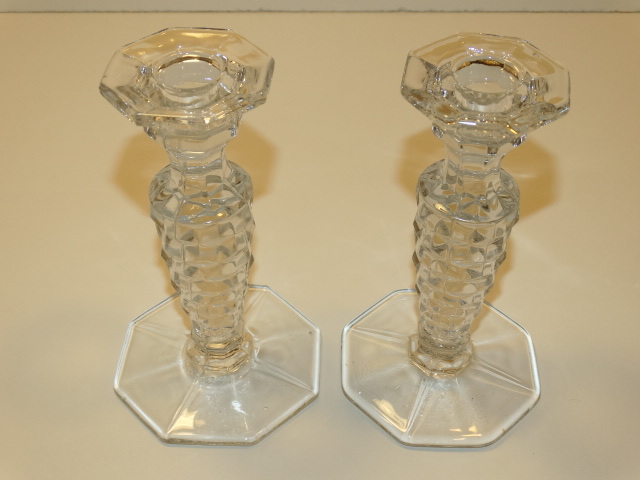 A pair of candlesticks complete this eye-catching serving set. 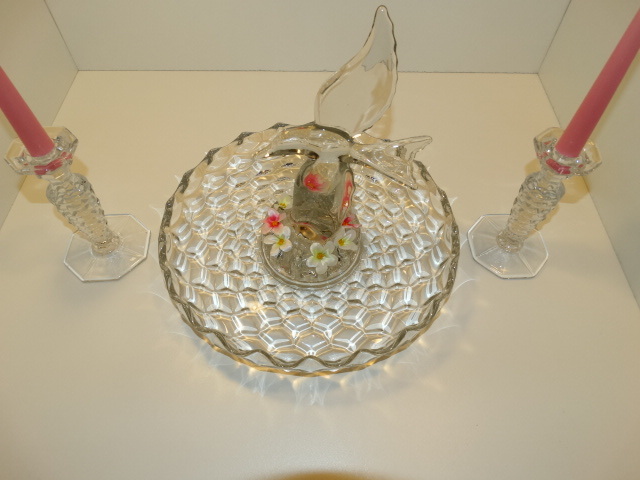 All four pieces are original. 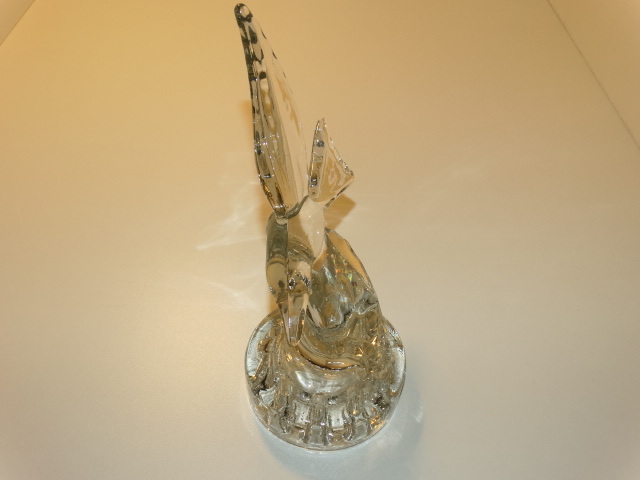 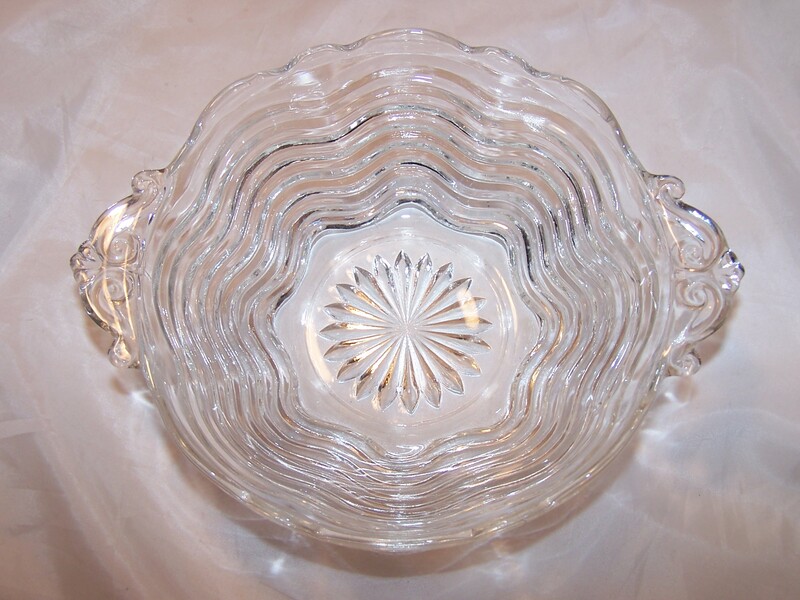 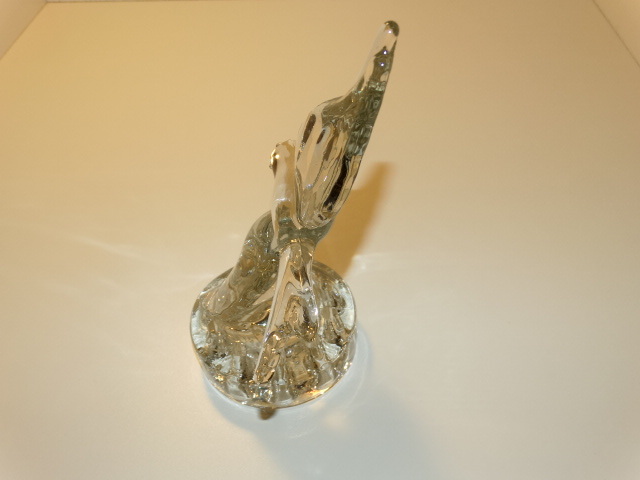 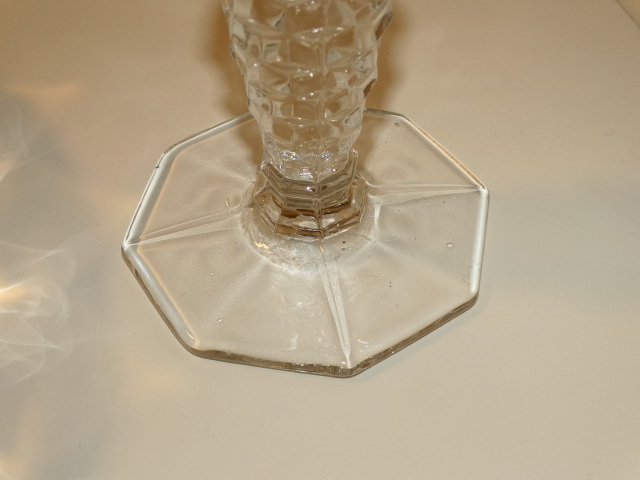 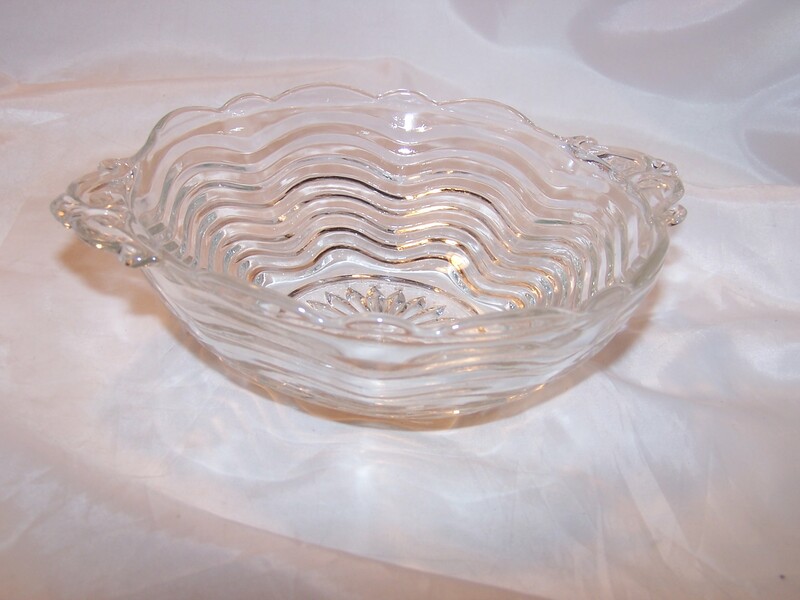 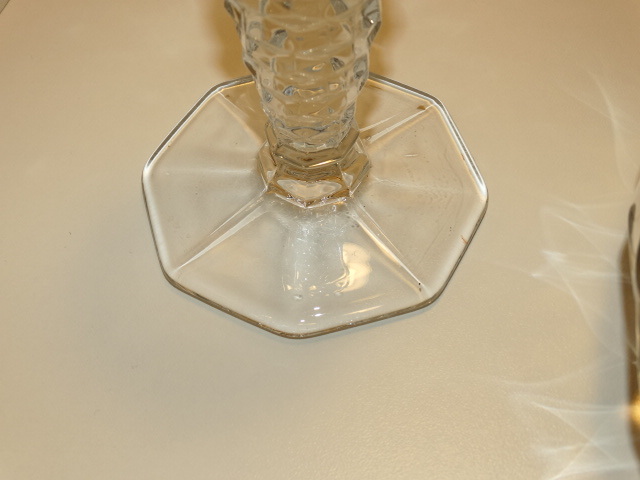 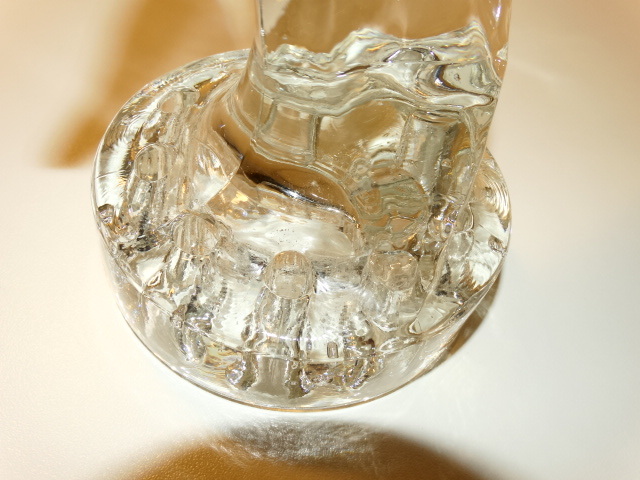 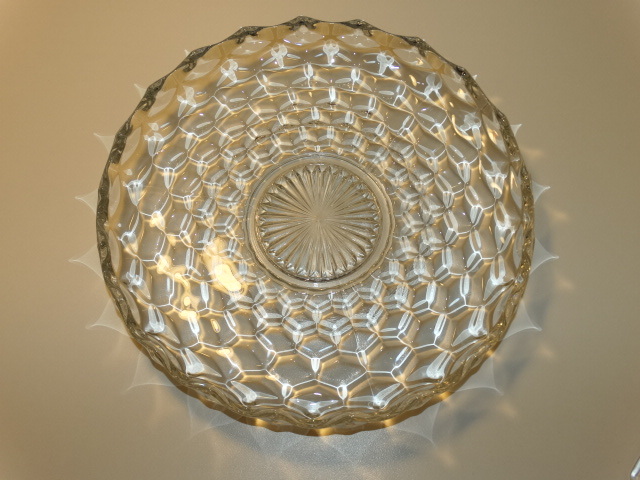 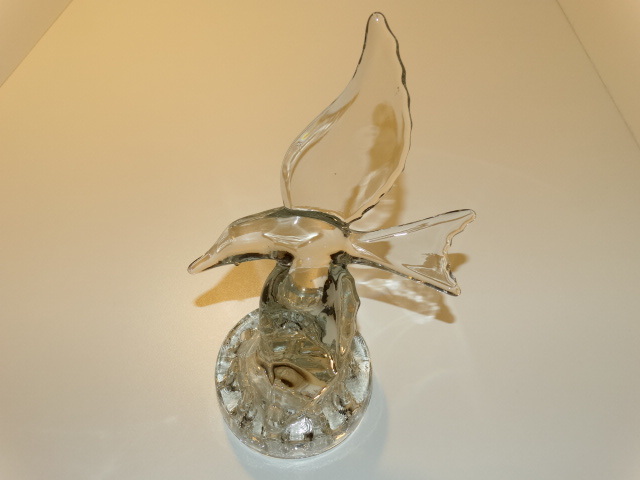 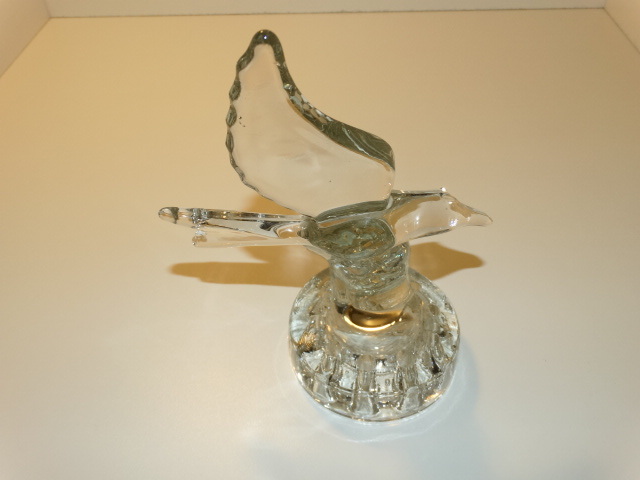 None of the pieces have identifying marks or labels but were identified by a glass expert.